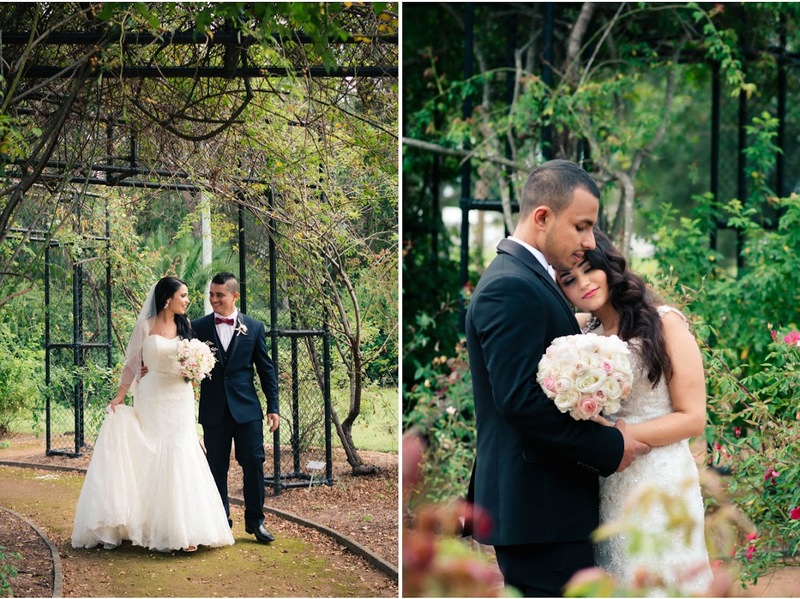 This special joint wedding features not one but two couples, Angelica and Deb, Leela and Avinash, married on the same day in back to back ceremonies at the lush Rumsey Rose Garden, Parramatta Park. Angelica and Leela are sisters and when we first met them, it was apparent that they both had strong family values. They were same but different, best friends but rival siblings. They have many common friends and even chose the same bridesmaids. Even though it was a joint wedding, it was important that each couple feels like their wedding. Our photography needed to strike a balance between the group and the individual wedding elements and we are happy that we were able to do that. Kudos to the brides for an amazing job coordinating such a big event. The guests had a wonderful time (always makes for great photos!). We especially loved the fusion of cultures with colourful sari and upbeat Bollywood dancing. Thank you for choosing us to photograph your weddings!